Kaby Lake Processors are the Intel’s latest 7th Generation Core Series, Pentium and Celeron processors based on the LGA 1151 Socket Type. They are successors of not so older Intel 6th Generation or Skylake processors having LGA 1151 Socket. The successor of Kaby Lake processors are Coffee Lake Processors which will also have the LGA 1151 Socket but requires an Intel 300 series motherboard. For Seventh generation family of processors Intel has also introduced some new motherboard chipsets that are B250, H270 and Z270 .Motherboards using these new chipsets are commonly called as Kaby Lake Motherboards. Along with powerful graphics card you also need a good processor for a gaming PC otherwise it will bottleneck the graphics card and you won’t get full performance. Also some games are dependent more on processor compared to graphics card, so it is always better to have a good processor that can be a perfect match for your graphics card. These latest Kaby Lake processors are packed with great power and even the budget kaby lake processors offers very good performance. 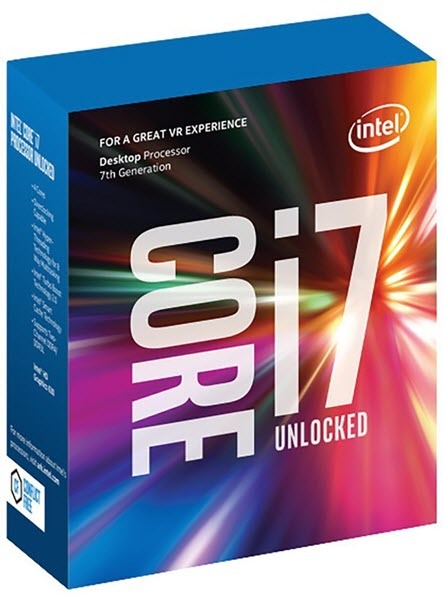 So here in this post I am going to provide you the list of best Intel 7th Generation Kaby Lake processors that you can buy for your gaming PC or a powerful desktop computer. What is New in Kaby Lake Processors over Skylake Processors? Well to be frank there is no major change regarding architecture in the latest kaby lake processors. Kaby Lake processors are also built on the 14nm manufacturing process as with Skylake processors. The performance is more or less the same but still I am listing down the major improvements in Kaby Lake processors over Skylake ones. Faster Clock Speeds – All the Kaby Lake processors have higher clock speeds compared to the older Skylake Processors. You can see up to 300MHz increment both in the base clock frequency as well as the Turbo frequency in the Kaby Lake processors. New Graphics – Intel Kaby Lake features new improved graphics core that has higher GPU clock speed in select processors. The new graphics solution in the kaby lake processors is called Intel HD Graphics 610 / 620 / 630. Intel Optane Memory support – Intel Kaby Lake processors supports Intel Optane Memory for blazingly fast performance. Intel Optane Memory is an ultra fast memory that goes in the M.2 slot of supported motherboard. It is a cross between RAM and SSD and it really increases the overall performance of your computer and significantly decreases boot load time. Windows 10+ Ready Only – Kaby Lake processors only supports Windows 10 operating system which may not be a good news for users who are still on Windows 7 / Windows 8 OS and don’t want to upgrade to Windows 10. So it is now mandatory to use Windows 10 if you are thinking of buying a Kaby Lake processor for your new PC or want to upgrade to them. This I think is not an improvement but rather a disadvantage of Kaby Lake Processors. Here are the best budget 7th Generation Kaby Lake processors from Intel that includes Pentium Dual Core and Celeron processors. These entry level kaby lake processors will cost you at around 50 – 100 dollars. 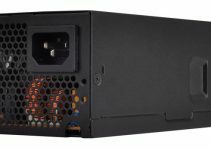 They can be used for building a budget gaming PC and can be paired with budget or entry-level mid-range graphics cards. This is the best budget Intel 7th Generation Kaby Lake processor you can buy for around 50 dollars. This is a great value for money processor and you won’t even feel that it is a Celeron processor because of its high performance. 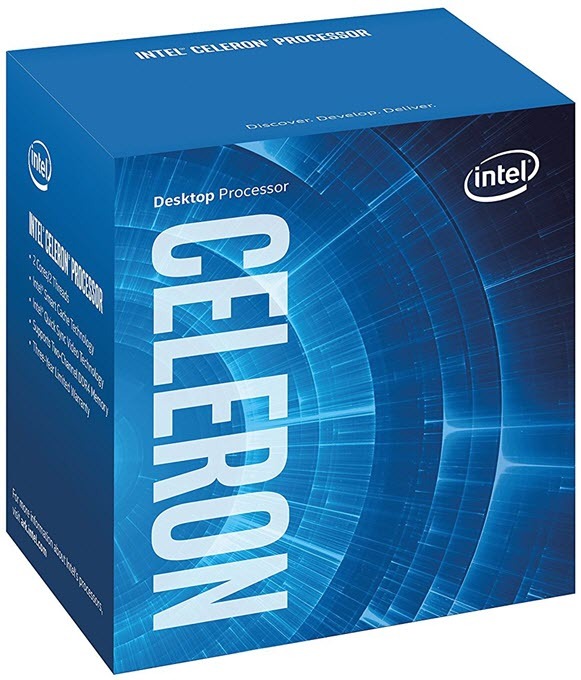 Intel Celeron G3930 is a dual core processor that has frequency of 2.90 GHz and comes with 2MB cache. This is a great processor for a low budget gaming PC or for normal office PC or for an HTPC. It supports both DDR4 and DDR3L memory. This Celeron processor comes with Intel HD Graphics 610 which is more than enough for watching HD movies or for running older games like counter strike etc. If you can spend few extra bucks more then you can get Intel Celeron G3950 which comes with slightly higher clock speed of 3.0 GHz with everything other unchanged. Intel Pentium G4560 is dual core processor that has performance almost equivalent to the base level Core i3 processor and costs less. 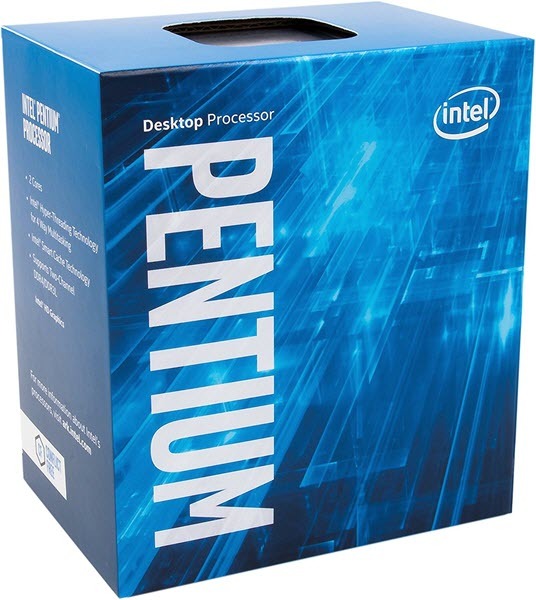 Pentium G4560 is clocked at 3.50 GHz and comes with 3MB cache. This is the cheapest Intel processor to support Intel Hyper-Threading Technology. The processor only has 2 physical cores but it can support 4 threads which mean it can provide you quad-core like performance in games and heavy applications. This is really the best processor under 100 dollars for building a budget as well as mid-level gaming PC. If paired with a good mid-range graphics card then you can have very good gaming performance at 1080p. Also the processor runs super cool with temperatures not exceeding beyond 50 – 60 degrees during intense gaming. Highly Recommended by me. Note: If you some extra cash to spend then you can get its slightly higher variant Intel Pentium G4600 that has higher clock speed @ 3.60 GHz and comes with slightly better graphics as Intel HD Graphics 630. Other features remain same as G4560. Here are the best budget core series Intel 7th Generation Kaby Lake processors for building a mid-range gaming PC. It includes base level and cheapest Intel Core i3 and Core i5 Kaby Lake processors. 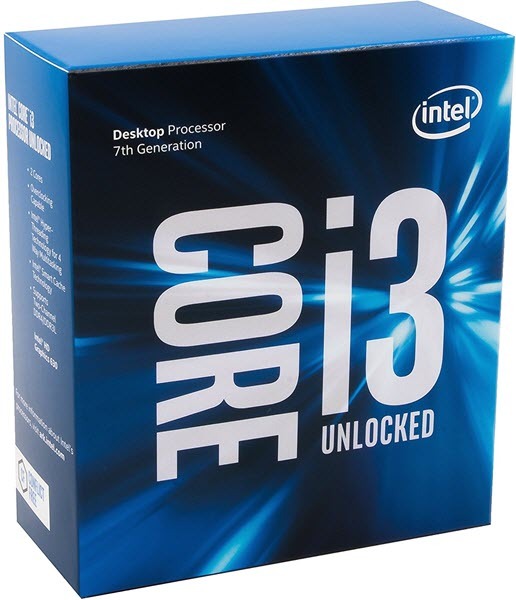 This is the cheapest 7th Generation Core i3 processor you can get for your gaming PC or desktop computer. Intel Core i3-7100 is clocked at 3.90 GHz and comes with 3MB cache. It supports Intel Hyper-Threading Technology (HT) and DDR4 & DDR3L RAM. This is a great dual core processor for building a budget or mid-level gaming PC. It comes with Intel HD Graphics 630 and supports Intel Optane Memory. Also it has lower power consumption and runs relatively cooler than the other core i3 series processors. 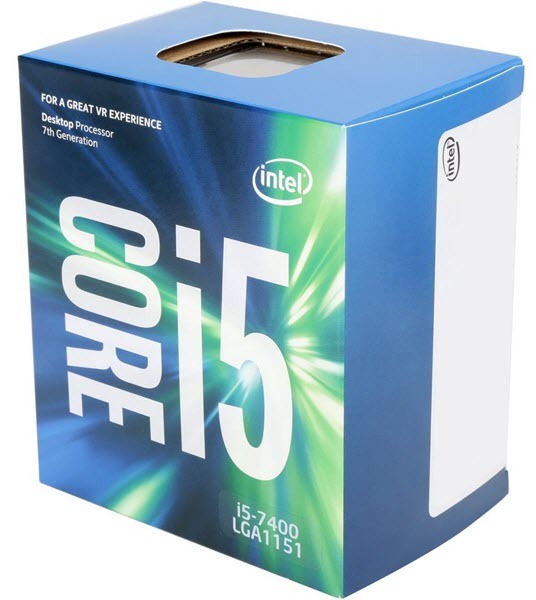 This is the base level or the cheapest Core i5 7th Generation processor you can get for a mid-range gaming PC. This is a quad-core processor that has clock speed of 3.0 GHz (3.50 Turbo Boost) and comes with 6MB cache. It supports Intel Turbo Boost Technology, Intel Optane Memory and Intel Virtualization Technology. This a great processor for users who want latest affordable Core i5 processor for building a mid-range gaming PC. When paired with a powerful mid-range graphics card or high-end graphics card you can really feel the performance of this performance in latest games and can game at 1080p and 1440p. Highly Recommended by me. Here are the Best Performing Kaby Lake Processors or Intel 7th Generation Core i3 / i5 / i7 series processors that you can buy for ultimate gaming performance. These are the top of the line Core i3 / i5 / i7 K series processors having highest clock speed in their category and they all support Overclocking. 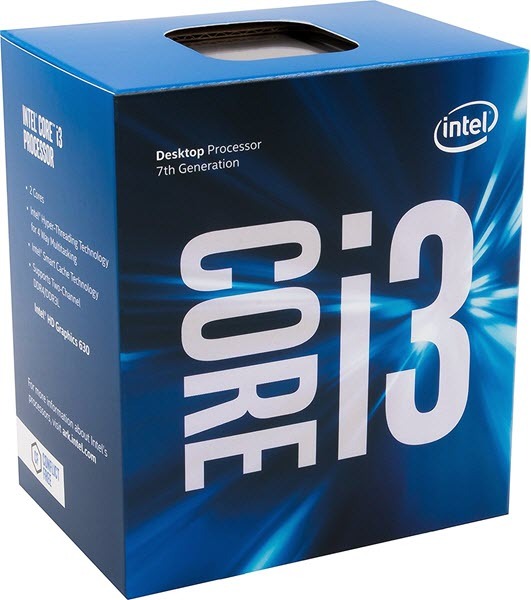 This is the fastest and top of the line 7th Generation Core i3 processor. It has clock speed of 4.20 GHz and comes with 4MB cache. It retains all the feature of the lower Core i3 series kaby lake processors including Intel HD Graphics 630. The one thing that differs it from other core i3 processors is that it is an unlocked processor. This means it has unlocked multipliers and it can be overclocked easily to greater levels when paired with a Z series motherboard. This is the top of the line & fastest Core i5 series processor that comes with higher base and turbo frequencies. 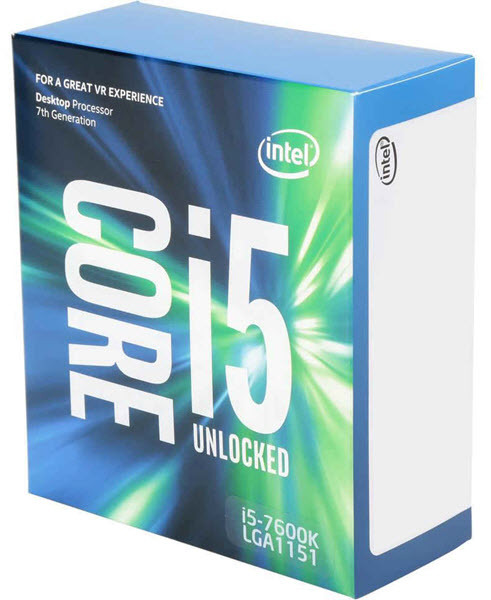 Intel Core i5-7600K comes with base frequency of 3.80 GHz and turbo frequency of 4.20 GHz. It comes with 6MB of cache as with other core i5 processors. This is an unlocked processor which means you can overclock it for extra performance. Some users have reportedly overclocked this processor to 4.80 GHz & 5.0 GHz using water cooling. Overall this is a powerful quad-core processor for a mid-end to high-end gaming PC. This is the fastest kaby lake processor that your money can buy. Intel Core i7-7700K is the ultimate gaming processor that has Base frequency of 4.20 GHz, Turbo frequency of 4.50 GHz and comes with 8MB cache. Like other K series processors this is also an unlocked processors which means it can overclocked easily by using Z series motherboard. Core i7-7700K supports Intel Hyper-Threading Technology and 8 Threads which can make it work as an Octa-core processor and can deliver breathtaking performance. This is the best processor for building a high-end or ultimate gaming PC with SLI setup. This processor needs to be paired with high-end graphics card to get maximum performance in latest high-end demanding games. 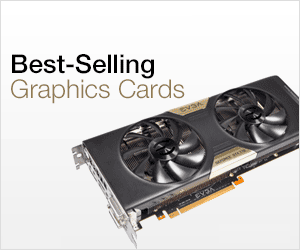 With a top-end graphics card you can play latest games on 1440k and 4K using this processor. This processor may run very hot and you will require a good aftermarket CPU cooler to keep the temperatures in check. I recommend water cooler for this Intel Core i7-7700K processor. So if you want the best gaming processor then nothing can beat Intel Core i7-7700K as of now. 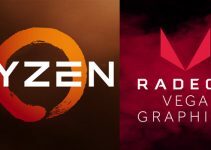 But the launch of AMD Ryzen processors has started to scare Intel because they offer similar performance at lower price. Highly Recommended by me for enthusiast gamers. 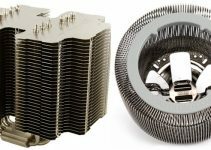 Important Note: All K series processors do not come with fan or heatsink, therefore you need to buy a good aftermarket CPU cooler for them. Here I have listed the best Kaby Lake processors both in budget and performance segment. These latest seventh generation processors from Intel are perfect choice for your gaming and professional needs. If you have any queries regarding processors, graphics cards or gaming build, then feel free to ask me by leaving a comment below.